Have fun with us and continue to watch online free car videos for boys! At this time, you will see a story about Naughty Excavator, who decided to ride on the carousel and kicked away the Monster Truck. But the cunning car will surely gets even with the villain. 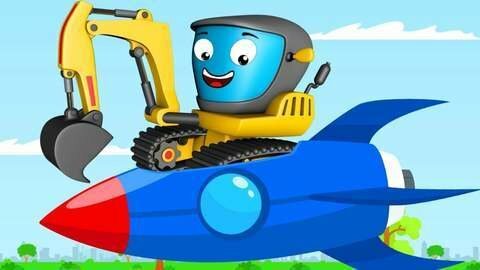 On SeeZisKids you will find a large collection of interesting and colorful cartoons for children!